Petticoat Junktion is committed to ensuring that your privacy is protected. Should we ask you to provide certain information by which you can be identified when using this website, be assured that it will only be used in accordance with this privacy statement. Petticoat Junktion may change this policy from time to time by updating this page. You should check this page from time to time to ensure that you are happy with any changes. This policy is effective from 05/05/2018. We use third-party advertising companies to serve ads when you visit our Web site. These companies may use aggregated information (not including your name, address, email address or telephone number) about your visits to this and other Websites in order to provide advertisements about goods and services of interest to you. Petticoat Junktion is a participant in the Amazon Services LLC Associates Program, an affiliate advertising program designed to provide a means for us to earn fees by linking to Amazon.com and affiliated sites. Petticoat Junktion is also a participant in the Amazon Influencer Program. 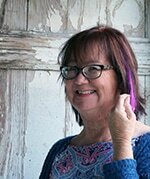 Petticoat Junktion also participates in the Amazon Influencer Program and affiliate programs of other companies. We may earn commission on products purchased through links on petticoatjunktion.com, but we will never link to affiliate products unless we approve of the product and its seller. This website and its contents are the copyright of Petticoat Junktion – © 2011-2018. All rights reserved. Petticoat Junktion does not allow for its original pictures, recipes, or writing to be reproduced anywhere without written consent except for sharing on social media platforms (like Facebook and Twitter) and only if the share (1) contains a link back to the appropriate page on petticoatjunktion.com and (2) does NOT contain detailed project information. 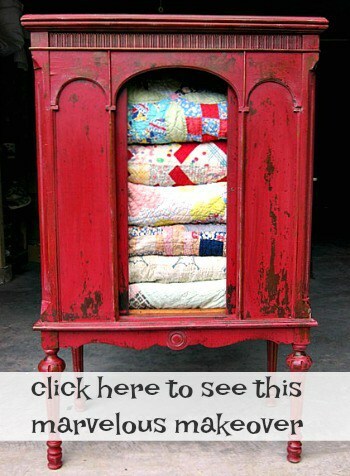 Project photos may be shared in roundups as long as it is only one photo and the photo is properly attributed to Petticoat Junktion and linked to the post.